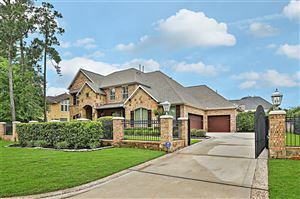 This beautiful, well-maintained home is available in Spring, Tx. The 4 bedroom, 2.5 bath, 2-story home is located in Klein ISD and sits on a quiet cul-de-sac lot with no back neighbors because it backs up to a quiet interior street, and it is close to the new ExxonMobil campus, The Woodlands, and Tomball. You will enjoy art niches and lots of storage. The kitchen has granite counter tops, tile backsplash, a breakfast bar & it opens to the Family Room that contains a high ceiling and a Fireplace. The large 1st-floor master suite has dual sinks, an oversized tub, a separate shower and large walk-in closet. 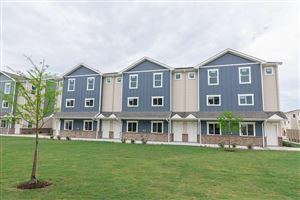 Upstairs you will find 3 bedrooms – 2 of which are oversized. Upstairs you will also find a large versatile loft area that could be used as a game room, a family play area or a media room. Need a formal dining room for those special occasions? Well, this home has one and it’s just off the kitchen. The homeowners have upgraded some of the light fixtures and installed 2” blinds. The home is also pre-wired for an alarm. If you work at the new ExxonMobil campus, this would be a perfect location for you. See more photos and all the details in the Houston MLS #61133899. The short url for this page is http://rrea.us/m6.